That’s what the article says. It also says the jet was holding 120,000 gallons when the rupture and spill happened - 804k lbs sure is a lot for a 141. Like to take the filler cap off? It appears to me that the shadow on the lower jet is the fuselage and lower vertical stab of the top jet. It’s probably the telephoto compression making them look much closer as the article states. I've loaded a larger version of the image for better detail. Bagram Tower: Antonov6969, hold short runway 3, traffic on three mile final. Ivan: Bagroom tower, I read you! Cleared for takeoff! Bagram Tower: Antonov 6-9-6-9, negative! Hold short, runway 3, landing traffic is on 2 mile final. Ivan: Yes, traffic in sight, Antonov 6969 is taking off! Happy morning tower. Any Viper drivers on here that can explain how it’s possible to shoot your own aircraft? This sounds like a "possible" case of the F-16 running into a ricocheted projectile (20mm round) during a typical air to ground strafing run on one of their local training ranges/targets? Low level - strafing/rocket attacks/bomb drops/etc can be risky business. Go find a night strafe video. Pretty low, but always a possibility. Even our low altitude safe escape maneuvers have a * to them. No way to account for catching a lug/etc... Not today golden BB! Who else night HAS over the water? It was illegal back in the early 2000 except the range just west of Osan, Kooni (sp?). Under NVGs, during the safe escape, you’d be flying among the ricochets, I couldn’t believe it was legal and I’ve heard, it isn’t anymore. During an unpleasant time in my life, I was an ALO attached to an armor battalion. We were doing a night live fire exercise so 105mm main guns, .50 caliber, 25mm chain guns, TOW missiles, and, the winner for spectacular effects and crowd pleaser, APC mounted 20mm vulcan shot at ground targets. As a Hawg driver, we talked a lot about big sky, little bullet theory but, to quote the military historian Ho Lee Fuk, "That's a whole lot of metal going a long way uphill via richochets." 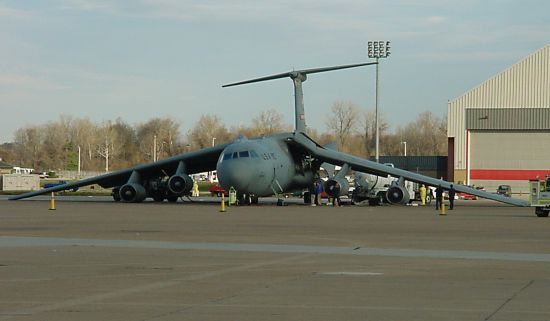 The big, fast stuff like 105mm and TOWs had to be topping out better than 1000 feet on occasion. Seeing that stuff bounce at night really changed my thoughts on pressing hard target slant range cease fire distance. I was just qualified to build Weapon Danger Zone footprints this year and can confirm the spray patterns of strafe are pretty f'ing terrifying to anyone within a few miles. It's amazing we let people shoot. What are you talking about? I’m familiar with Pi, Pd, JAWS, JMEM and a handful of others, never heard of this. Ricochet is the exact reason for sticking with 7.62 over .50 cal on door guns for the Army. The stand-off gains going to .50cal are minimal when you compare that guns likelihood to send rounds to the target, and then somewhere else at random. When you start throwing high cyclic rate like mini guns into it and the proximity of targets for an X landing (like dudes literally in the rotor disk) nobody wants to be the guy that shoots themselves/their wingman down. The min engagement distance (for training) for the GAU-18 was 300m for this reason. Plus the baby-BRRRR of the mini-gun is so satisfying. 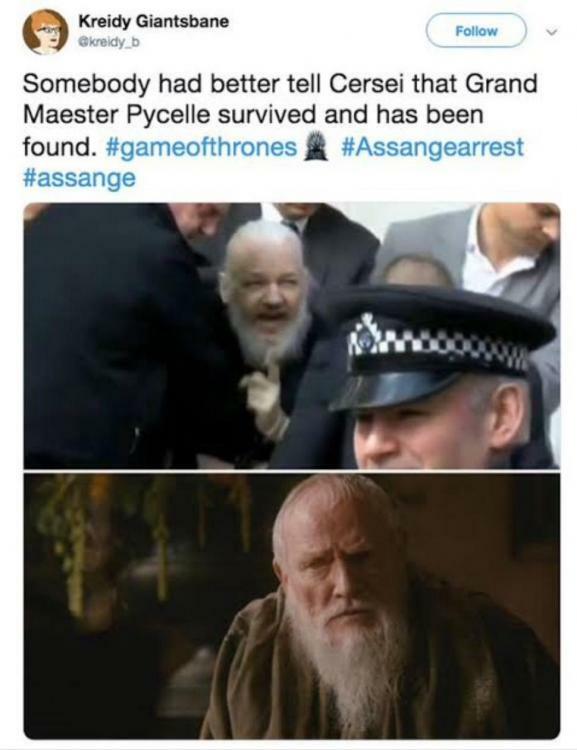 Looks like Julian Assange has also been patiently waiting for GoT to resume this weekend with his impressive cosplay. Guessing the Ecuadorian embassy also failed to renew their HBO subscription. Three airline wingtip strikes in as many days: 10 APR ERJ-170 Takeoff @ MMCU, 10 APR A321 Takeoff @ KJFK, and 12 APR CL-600 Landing @ KERI. Details are scant, but aviation-safety.net has the remaining backstory. Thoughts, perspective from low wing flyers...? ﻿﻿﻿ Thoughts, perspective from low wing flyers...?